 When eLevate signed three members of the famed EU Schoolbus team, the question wasn’t about them making it to the NA Finals, the question was whether or not they’d go undefeated. But after suffering two losses in their first five matches, now the question is whether or not they made the right decision breaking up the chemistry of their championship squad in order to add in former champions from another region. 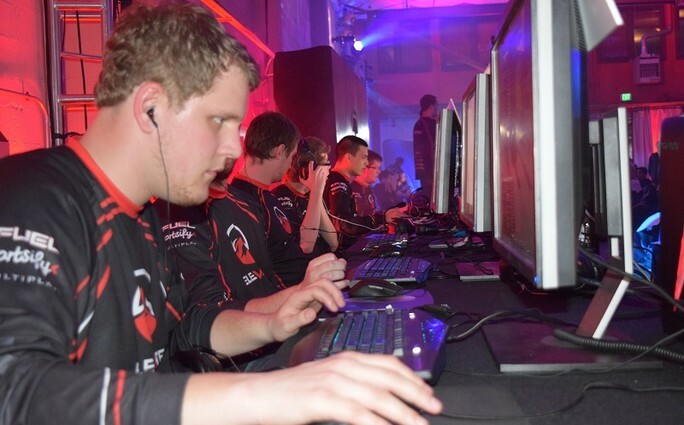 Wargaming’s Jon Robinson caught up with eLevate’s captain, Statik, to get the details behind their flurry of roster changes. 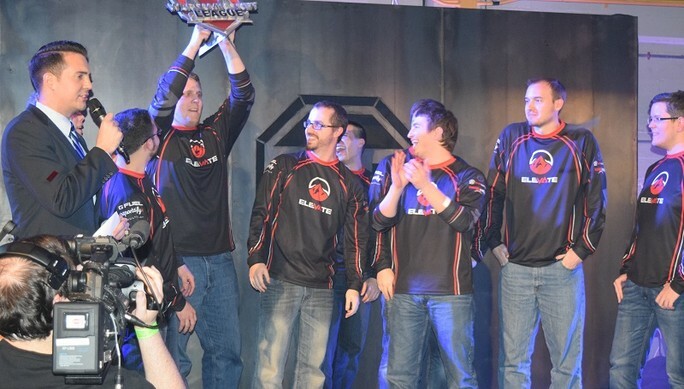 Wargaming: You guys won the NA championship, but then did an overhaul of your roster. Why? Statik: We won last season and we had a fairly strong roster, but it was one of those deals where three guys from Schoolbus, who have a lot of experience playing in tournaments and a lot of knowledge about the game, when they approached us, we thought we’d be stupid if we didn’t take that chance. It’s a good fit. WG: What did they add to the team that you didn’t have before? Statik: Arclit and AmarLee come up with a lot of our strategies. They see a lot of strategies while watching matches from EU and Russia, and a lot of our practices this season have just been against our own team with them showing us how to play certain spots. Their experience with the game is something that we can’t replicate. WG: One of the most surprising roster moves was eLevate’s cutting of Serenity. He was almost voted MVP of Season 5 and now he’s gone. Why? Statik: It wasn’t a good fit anymore. Last season, he fit really well in our play style, but this season we’ve been playing a lot differently. We’ve been rotating a lot more, we’ve been more about different people making decisions rather than one person telling everyone what to do, and we decided that our best roster didn’t include Serenity. He just wasn’t picking up the new play styles as quickly as he should. Hopefully the roster change will help spark our team and bring us up to the level that I think we can play. Adding Swipple in his place also gives us an option of a player who can play wherever we need him. WG: You guys swiped Swipple from your former eLevate partners, now known as Team Rival. Did taking one of their best players create any animosity between the two teams? Statik: Yeah, there was some animosity when it first happened, but we told the Rival guys, it’s nothing personal against them. It wasn’t a decision made in order to ruin their season. It was more a move that we felt we had to make in order to make our team better. Swipple is the kind of player who fits with our mentality of “we’re good enough to win NA and at least give international teams a good shot.” We felt it was a move that we had to make for our team. WG: The question every Fantasy Tanks owner has is this: How much is Swipple going to play moving forward? Statik: Going forward, Swipple has a really good chance of moving into our lineup on a regular basis. His communication is definitely improving and his individual skill is definitely there, it’s just that for a little while there we were showing him some of our strategies and getting him to play within our play style. We decided that it was better for our team to slowly work him in as he caught up to everything we were working on. WG: Surprisingly, though, you guys got off to a slow start and you’re currently behind both Refuse and High Woltage Caballers in points. What do you attribute to your early losses? Statik: I would say the majority of our issues right now are not due to lack of skill, it’s mostly just mental. For a while, we were having some communication issues and we just weren’t performing like we should have as a team, so we took a step back and we had a team meeting and we addressed a lot of those issues. I think now, we’re back on the right track and hopefully that track will lead us back to another championship. WG: How does the ping challenge the Schoolbus players since they’re playing on the NA server but from overseas? Statik: Obviously, the ping isn’t ideal. When they’re playing, the ping is at about 120, so it’s a little bit higher than some players on the east coast, but it doesn’t seem to be affecting their play. They’re performing just as well as they always have, and at the end of the day, when it comes down to the championship, they’ll be playing at a live event, so everybody will be playing at the same ping anyway, so that will go completely out the window. WG: You have to make it to the live event first, though, which begs the question: Who will be the toughest team for you to face heading into those finals? Statik: High Woltage Caballers is definitely a talented team. They have a lot of talent as a team, a lot of individual talent, and they’ve played very well so far this season. Team Refuse is another team playing really well, and I think they’ve surprised a lot of teams, so I have to give it to them. #RU is another team that I can see taking it all, but they’re so up and down, they’re more of a sleeper team at this point. WG: What do you think the typical pub player can learn about Tanks by watching the WGLNA broadcast? Statik: You can learn a lot by watching the rotations on the map and watching how people react to certain maneuvers that a lot of our players make. They can also find good scouting bushes they can use in pub play, and they can also learn a lot about teamwork. I think one of the biggest things to watch is how the pros play certain corners and how they reverse sidescrape. When you’re being pushed in one direction, sometimes the safest play is to actually push forward into other tanks. That’s a big thing that a lot of pub players don’t understand. When you’re being pushed in one direction by tanks, the safest play might just be to push into somebody and try to 1v1 them. WG: Team eLevate has some of the more popular Fantasy Tanks players. Do you guys talk about your scores at all? Statik: As a team, we have a little bit going back and forth between ZoneDelta and Arclit about who has the most Fantasy points each week. For a while there, Arclit was definitely outperforming Zone, so Zone has some catching up to do. WG: What do you think it will take for eLevate to not only make another run at the NA title, but to finally compete internationally at the Grand Finals? Statik: The Schoolbus guys bring a lot to our team, not just mentally and skill-wise, but they helped us before the season by setting up practices against a lot more international talent. We played against some Russian teams and some European teams, and we feel that when we play against them in practices, we’re a lot closer to them now than we were heading into last season’s Grand Finals. We definitely see an improvement, and as long as we just keep getting better and just keep working on our communication and keeping our emotions in check, we’ll have a shot next time we play these guys in a tournament. WG: Do you think the EU and Russian talent raid will continue in NA? Statik: Yeah, I think you’ll see some more movement between regions. There were already some high-level European players who moved to Russian teams this season, so there is just much more movement between regions than you’ve ever seen before. I think people are realizing the benefits of playing in NA and that the players are better than expected, and because of that, you’ll see even more players making the jump in the near future. WG: This is the second season where WGLNA is using 7/54 "Attack/Defense" mode. How have you seen the meta change between seasons? Statik: I think for a while, the meta was the same with every team, but after the Grand Finals, it seems like everybody is trying a lot more stuff that you never would’ve ever dreamed about seeing in 7/42, like bring a Tiger. There are so many tier VII and VIII tanks, you can try a lot of different combinations to see how they work. I think when we brought an ISU-152, that was pretty unexpected by just about everybody. I don’t think there had ever been an ISU ran in competitive play. Team Refuse running the tier VII Panthers against us was another move this season that nobody expected, so it was cool to see.